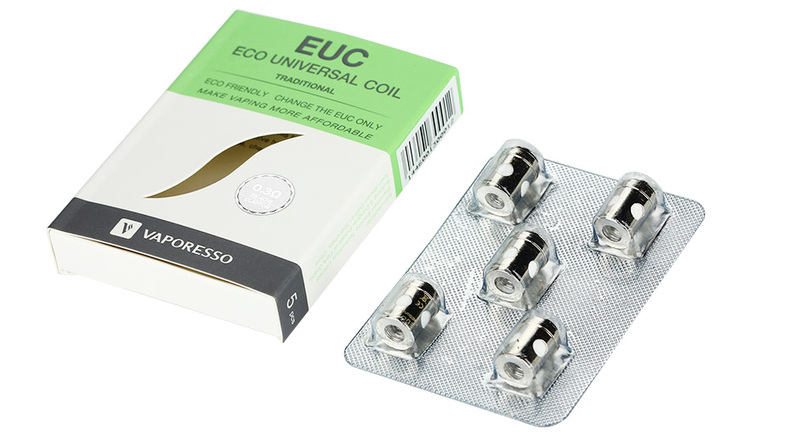 The Vaporesso EUC – Eco Universal Coil is an innovative performance atomizer created with affordability in mind. It is intuitive created, changing the way users typically replacement the atomizer coils. 5pcs Vaporesso EUC is for VECO ONE. 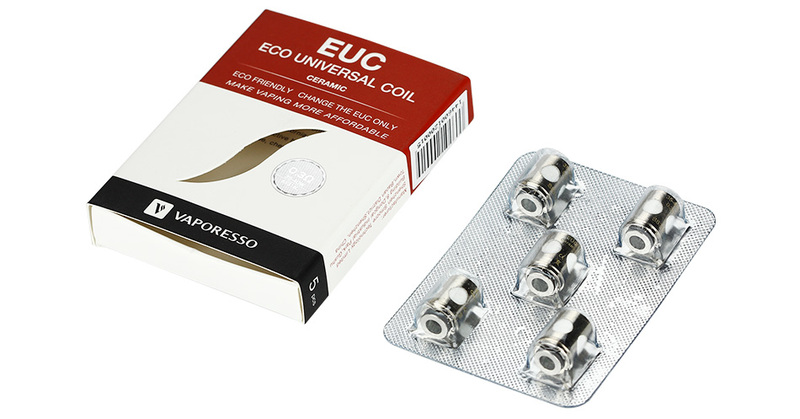 The Vaporesso EUC – Eco Universal Coil is an innovative performance atomizer created with affordability in mind. It is intuitive created, changing the way users typically replacement the atomizer coils. Instead of changing the entire coils, the EUC Replacement Coils only requires the changing of the core instead of the entire metal sleeve. The result is a more cost-effective design, while providing ample performance capability. There are two types of version, a Ceramic type that pays homage to the original cCell structures and a Traditional performance coil, with Kanthal, Nickel, or Stainless Steel heating elements. It’s compatible with Tarot Nano Kit, Veco solo kits, Veco One Plus kits, VECO Tank, VECO Plus Tank, Estoc Tank Mega and Estoc Tank.